I think about home a lot. I like this definition better than some of the others online; it includes that one word, the adverb ‘permanently’. The image seems truer somehow, even if it’s not the reality you (or I) experienced. If you’re like me, the word home seems more distant now than it ever has. … she (Mama) knew most of the families … in Wayne County. If Mama didn’t know at least who their grandparents were, she considered them strangers. Because she’d grown up that way with the Denneys. 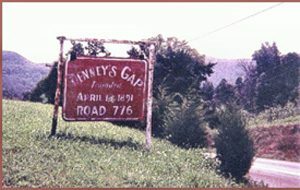 There was Denney’s Gap and a Denney post office and two Denney graveyards, and Denney’s Store. And she’d grown up surrounded by her Denny kin. I don’t think she ever felt at home after leaving Wayne County and her close relatives. The sentiments ring true for me. They make the world so much smaller. In my head I think, I’m from where she’s from, my grandparents still live in Denney’s Gap, I know where those graveyards are and that store. I feel what she felt. Have you connected with a place like that before? A place that makes the world suddenly smaller, more intimate? Do you travel home as much as you’d like? Is it home like you remembered? Or, do you find yourself longing for another home? 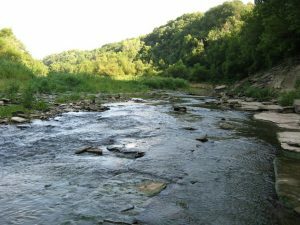 It clicks in my head and my heart, as I write this blog in Tennessee. The world isn’t too large to make the trip back, but the miles seem endless staring at this electronic screen. The years busier, and the friends older. While I might not be able to stop time and make my hometown exactly as I remember it, I smile when I think of that one word, and the notion of eternity for all of us. Not here in Chattanooga. Not there in Monticello. But, another world – permanently.